Open your hood. 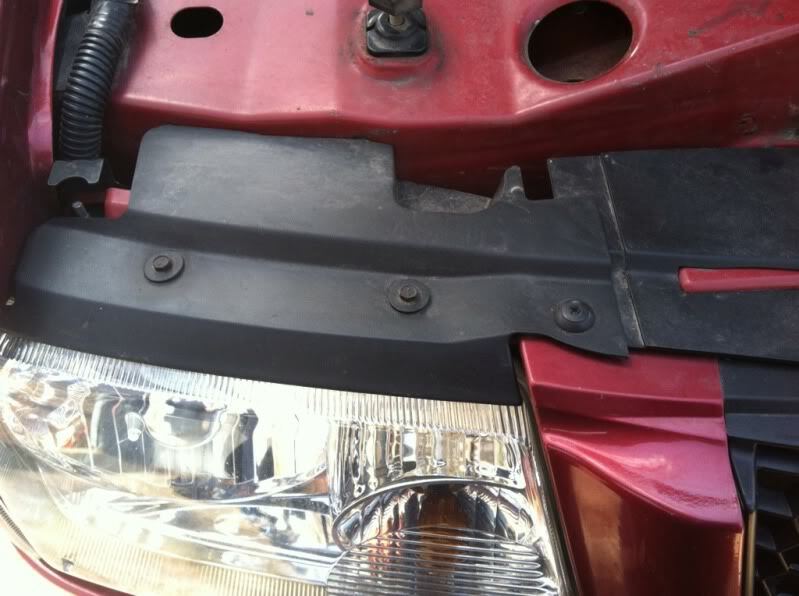 At the hood latch you will see plastic cowling which covers the gap from the core support to your header panel. The cowling is in 3 seperate pieces, Locate the screws which mount the cowling to the header panel. Locate the clips at the base of the surround. 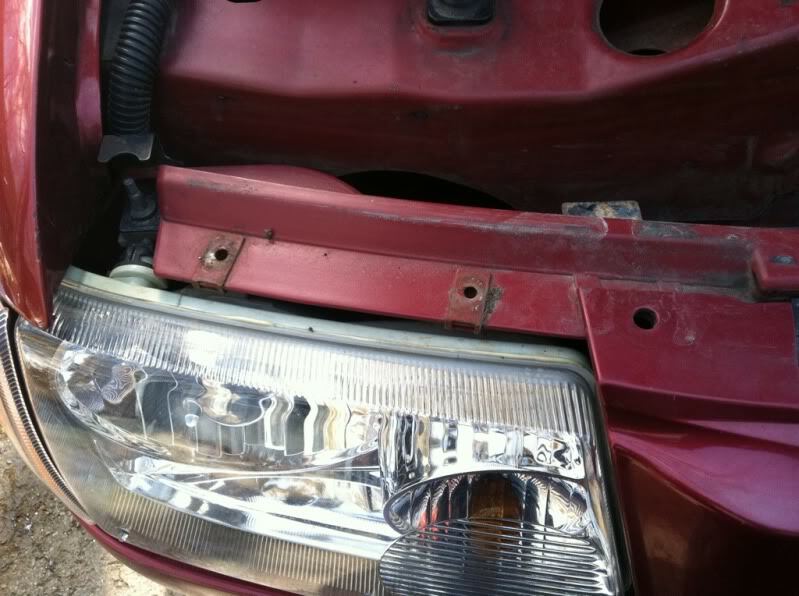 There are 2 below each head light and two center clips. 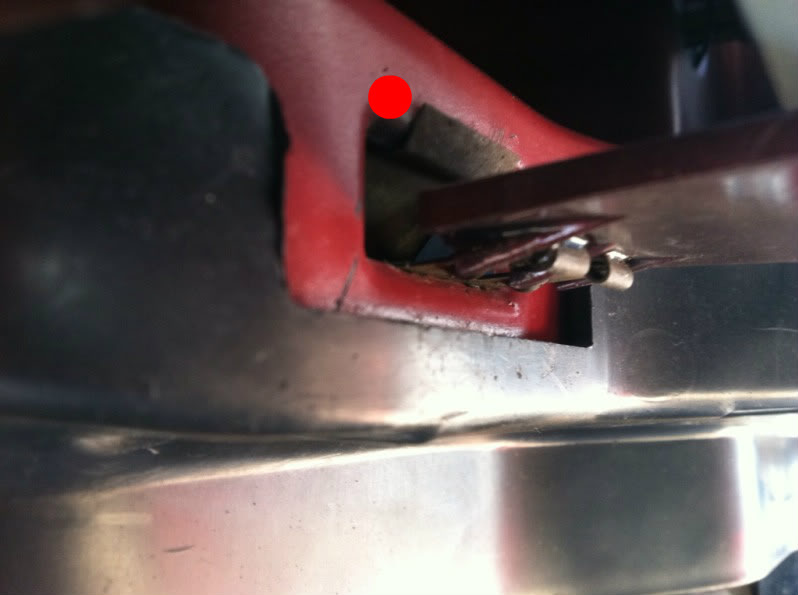 This is a picture from the underside with the dot pointing out the clip. 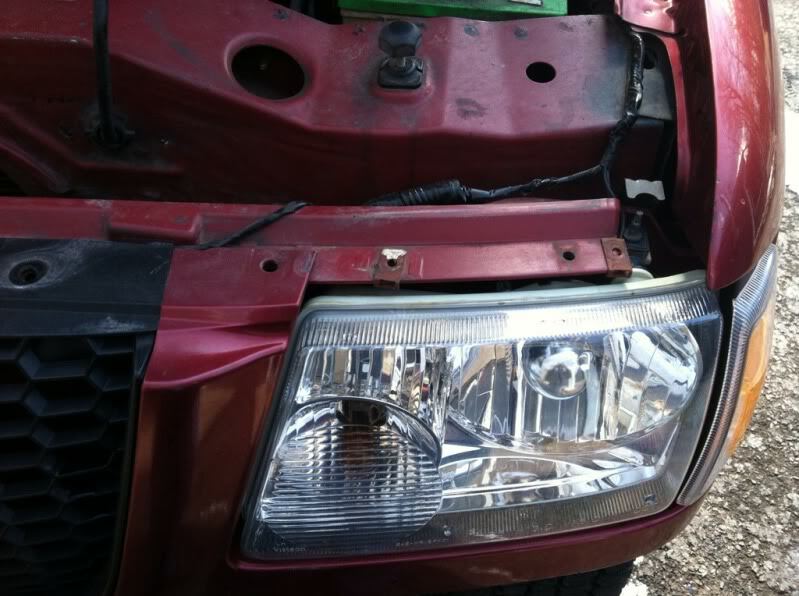 Starting under 1 headlight, slide the screwdriver in between the surround and the bottom of the headlight. 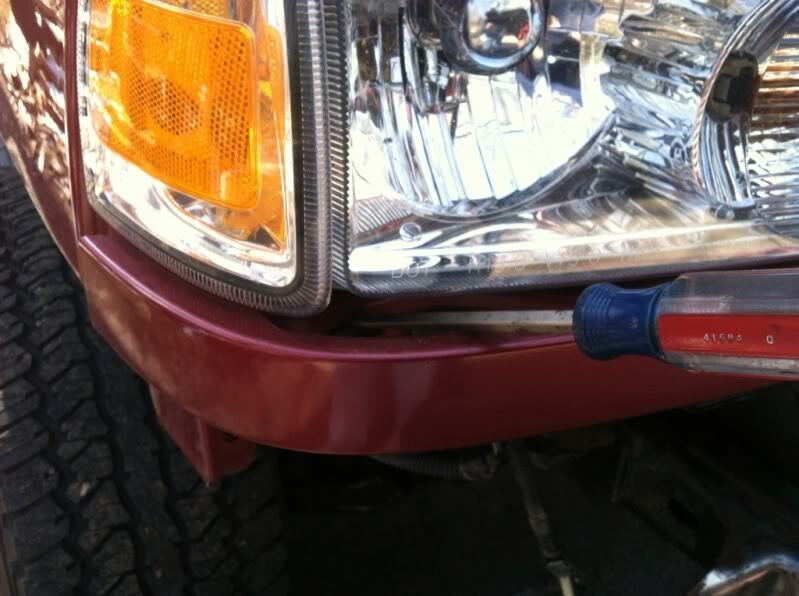 Then push the top of the clip down while gently pulling the surround toward you. After the end is popped out repeat the same step for the second clip next to it. 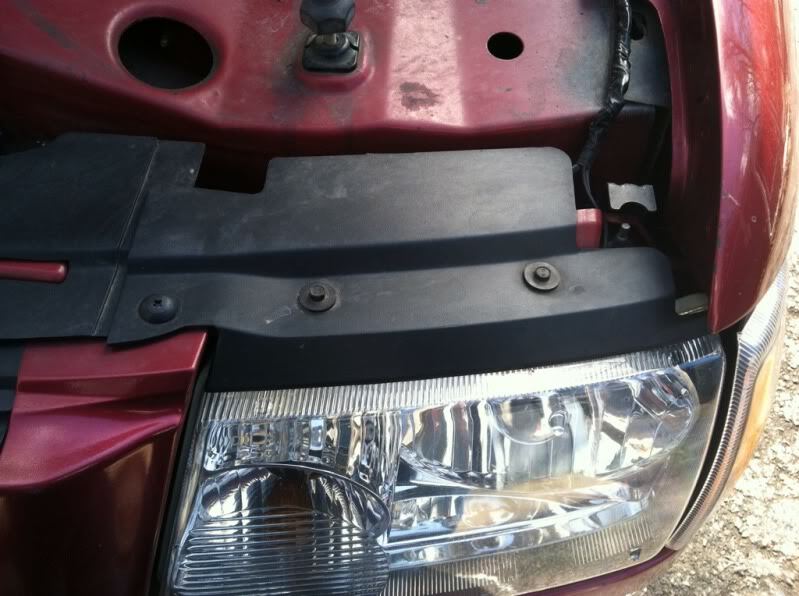 Repeat this step on the other side under the other headlight. 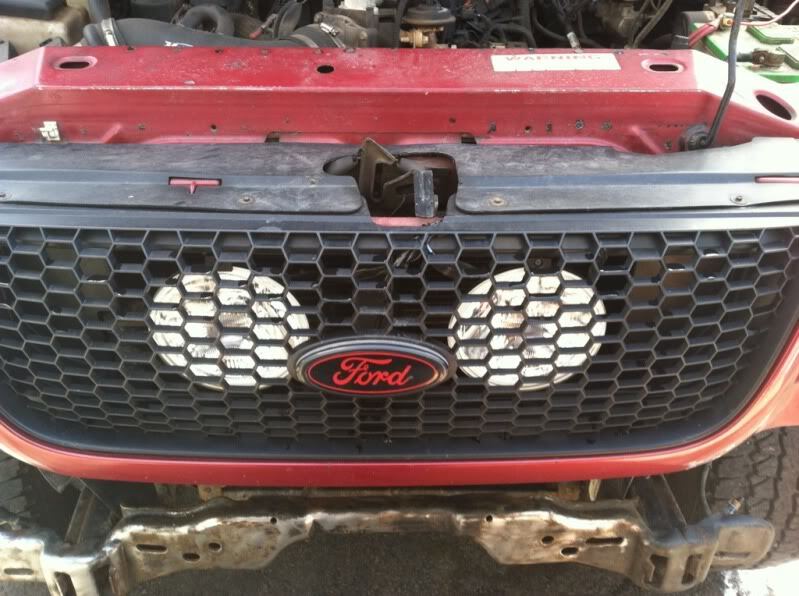 After both end have been unclipped, Bend the grille and surround out gently, push the top of the clips downward and remove the grille and surround. 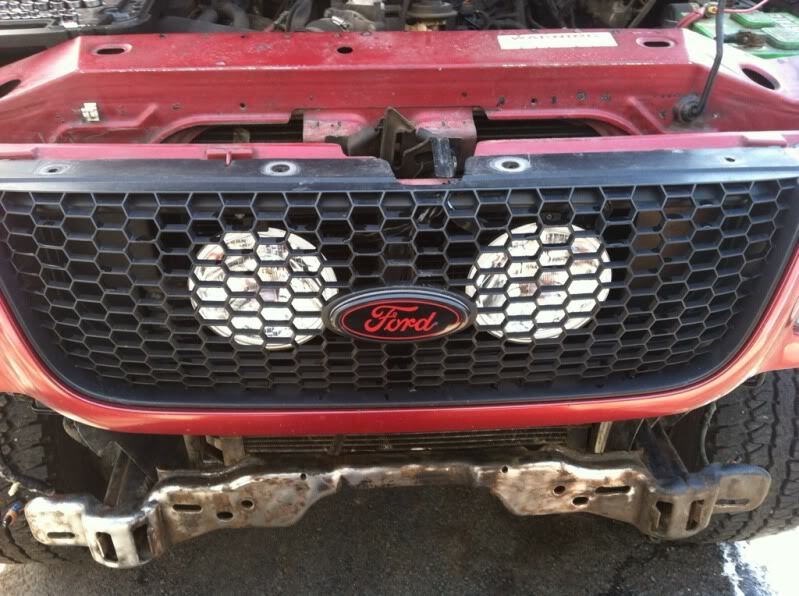 Congratulations you have successfully removed your grille and surround!